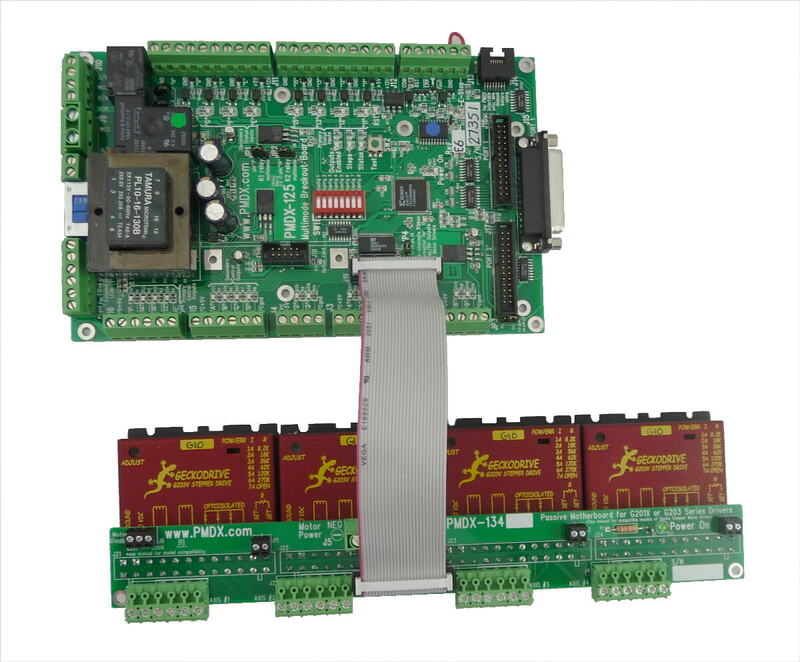 Top image shows PMDX-134 set up with typical installation using a PMDX-125 or PMDX-126, ribbon cable, and 4 Gecko G203V drivers. 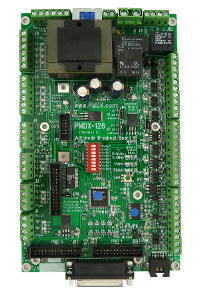 This image is a top view showing Geckodrive G203V drivers installed under a PMDX-134. This image is an edge view showing Geckodrive G203V drivers installed under a PMDX-134. This image shows the bare PMDX-134 as delivered. 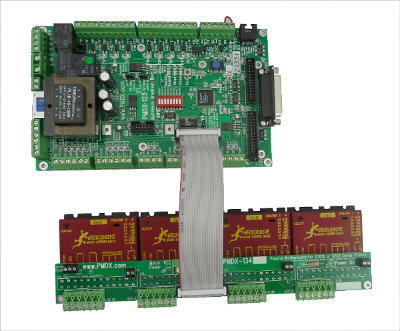 The PMDX-134 is a mother board for interfacing Gecko stepper drivers with CNC controls. Mates directly with up to 4 each G201X or 4 each G203V Gecko drivers by plugging onto terminal strip pins of the drives. 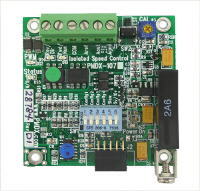 NOTE: The PMDX-134 does NOT support mixing G201X and G203V drivers on the same PMDX-134 board. 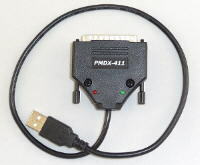 Can connect to PMDX-125 or PMDX-126 using a PMDX-HDR26Ribbon or PMDX-HDR26Ribbon-18 cable. (revision 1.2, 162 KB, 6 Dec 2013).